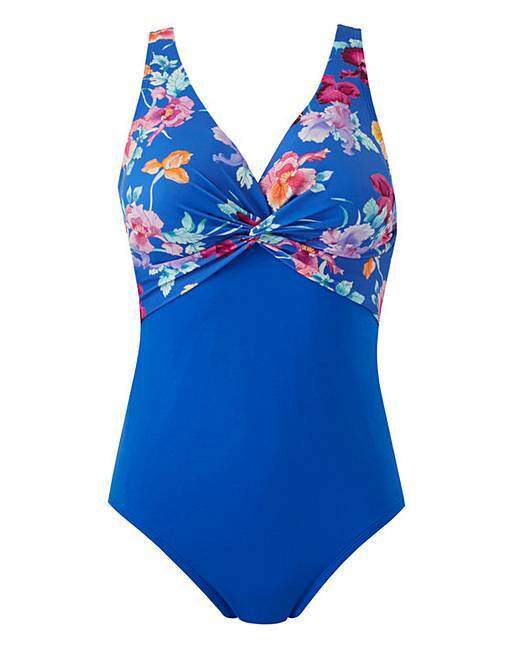 The Caspian Swimsuit offers bodyshaping. 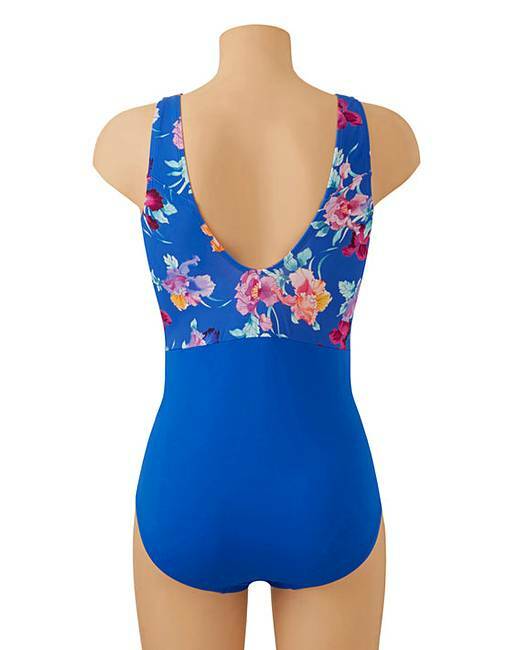 Lightly padded cups and straps are made in a rich floral print on deep blue grounds which reaches to the empire line, while the main body and back is made in solid blue. This piece will flatter your figure.